Last year Pam Thibodeaux offered me four spots in 2015 on her blogspot. (www.pamswildroseblog.blogspot.com) On May 9th she ran the 3rd of those blogs, that one was about A Killer Past, and in July she’ll run the 4th blog, which will be about Eat Crow and Die. This is just one of many examples of the kindness writers show each other. 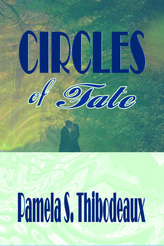 In Pam Thibodeaux’s Vietnam War era novel, Circles of Fate, readers see how lives are entwined. The same is true in my life. One decision affects another. 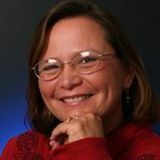 Since I also believe one kindness deserves another, and Pam has been kind enough to feature four of my books on her blog, today I’d like to feature one of hers. Here’s an excerpt from Circles of Fate. Todd Jameson paced the tiny room. One moment he cursed his luck and in the next, wished he’d died in the confrontation. He hadn’t even been shot at! He’d given up…just like the failure his father always accused him of being. Even the truth of why he gave up didn’t ease the sting of guilt. He plopped into a chair, buried his face in hands that shook. The hair on the back of his neck prickled. Instinct—well-honed by years of life with his father—put him on alert. From somewhere, someone watched. Hidden eyes bore into him. And it was more than the stupid security cameras in every corner. He kicked at the chair across from him, muttered a curse and resumed his trek back and forth across the scuffed hardwood. Sunlight filtered in through the dirty window but offered little warmth. Dust danced in the air, stifling his breath. Fear gripped his chest. What was going on and why in the world did it take so long? His court-appointed attorney had said he would try and plea bargain, but for what? One thing was certain, dear old dad would not have to worry anymore. He’d never worry again. As if he ever had. Tagged Circles of Fate, Pam Thibodeaux, Vietnam war. Bookmark the permalink. Thanks for the spotlight Maris! I’m curious. Who was watching him? What did he do that makes him feel so guilty and got him incarcerated? Very intriguing excerpt. I’m sure that’s why she chose it. It made me want to read more. Intriguing time frame and not one we often read about. Many of us can relate, for sure. That’s one thing that intrigues me, Lucy. I remember the anti-war marches and attitudes about the Vietnam war. It’s going to be interesting to read how Pam handles the subject.